Just Emkaying: Of Beaches, Babes and Beer - GOA!!! Of Beaches, Babes and Beer - GOA!!! Finally!!! After years of thirst and longing, on 8th April, via Kingfisher Red's wobbly ATR Flight Number 26 -sumthin-sumthin, we landed in the bloody hot paradise of Goa. The Best part about Goa is, that the moment you land, you feel like drinking beer. Which is good of course, considering that you can buy beer/liquor at cheap prices in any place that has 2 shelves and a roof. That's what this place is all about, and that's what all the teenagers keep hoping to do in Goa. 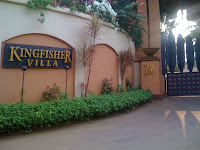 Anyways, while we were told that North Goa was "the" place to be, we had to put up in South Goa, at the Nanutel Resorts, which was at the Colva beach. 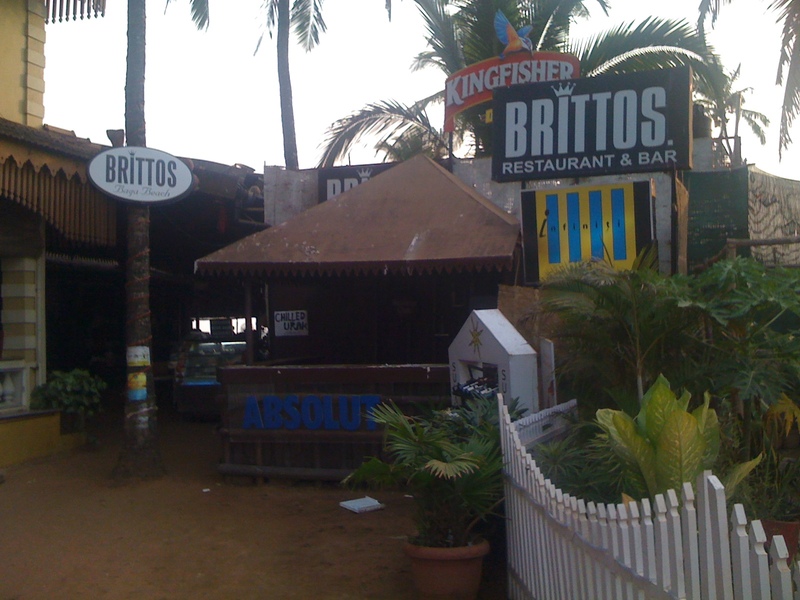 This Place is also close to Martins Corner, considered one of the top food - drink - live music - soopa chick having - places in South Goa. We of course did raid this place in the noon, and the place was jam packed with eye candy, the beer and food were a bonus!!! In the Evening we checked out this place called Boomerang, which had some Austrian babe doing a flame throwing act. Beyond the fact that she was in a bikini, she was actually very good with the fire throwing - dangerous - seductive look thing. One of my colleagues even spoke to her and got her visiting card!!! This place was actually a shack on the beach, and had some lovely sea shore ambiance. Apart from swimming at the Colva Beach (which was awesome) we did check out the Halo-ed "Brittos" at the Baga Beach,Calangute, which is at North Goa. This place has an awesome view of the beach, and is very popular with the aforementioned minimalistic clothing-wala crowd. 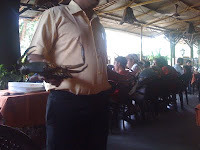 This place is a must go, if your ever in Goa. Evenings are recommended. 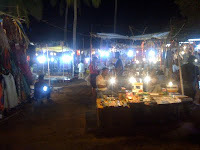 Shopping at the Flea market at Arpura which opens exclusively on Saturday is a fun experience. There's cool bargains,live music, lottsa beer, and for a change, Foreigner's cooking steaks as they should be!!! We picked ups some stuff here before heading out to Anjuna Beach which turned out to be a disappointment as far as shacks were concerned. In the end we changed plans and drove down to Baga Beach. While most of the venues like Tito's, Mambo's and Capetown are couple-entry only places, the beach is open to all kinds of revelry. We were there till 5 AM ( Yes 5 AM) before we drove back to our respective hotels to catch an early morning flight back to Bangalore. Whats special about Goa is that you get booze everywhere, and no matter how much you drink, its going to take something really special to get drunk. I must have guzzled a case of beer over 36 hours, and I was still fine. Liquor is comparatively cheap, by around 30% so its worth while to pick up your single malts and Premium Vodkas from here. Goan Cuisine is fantastic, and apart from the Seafood (all of them - prawns, fish, crabs and squid) you can also sample the Xacuti and Cafreal which are Goan Specialties. The Goan Sausage with Pav is a fantastic any time snack. The best way to travel around Goa, is to either rent bikes or cars. We took cars as we had teetotallers who could drive us around while we got drunk (or at least attempted to) a. A regular 4 wheeler like wagon R or I 10 would cost you 1000 bucks a day + petrol + 350 bucks for delivery and pick up. You can make full use of the car in exploring the city and it works out quite well. Additionally, it seems that the local women run the show in most business. Unlike other states, in Goa women would be manning most stores and shops, and would hand out liquor and Cigarettes in equal ease as vegetables. While there - Wear Shorts, Drink beer/liquor, swim in the beach, Soak your eyes in the lovely crowd, and enjoy the beauty of what is essentially Goa. PS - More Snaps in a separate post. Calangute and the Baga beaches are the most popular beaches in North Goa. 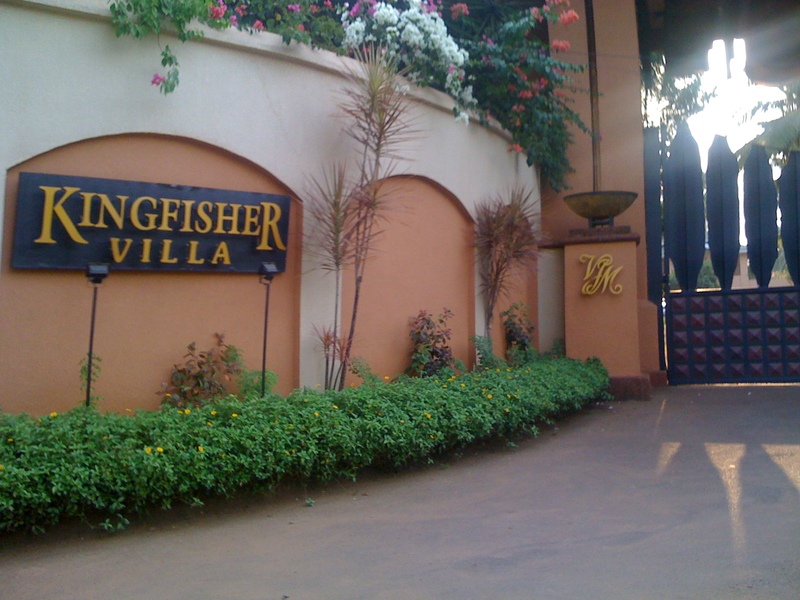 Stay at Calangute beach resorts goa and relish the beauty of Goa. One of the immense world luxury beach holiday destinations, Goa has a culture and history that goes way beyond the beautiful sands of it’s the most well-liked resorts. A tiny emerald land on the west coast of India is Goa, with its natural scenic beauty, attractive beaches, churches and temples. Me and my family found one luxury beach resorts in Goa The Zuri White Sands, Resort & Casino in my cousin's wedding where we were accommodated. Here each guest room was furnished with elegance and refinement featuring private balconies attached to every room, letting you enjoy the expansive pool and the lush green garden view. The suites were impressive and a pure indulgence, with spacious rooms that come with a dining and a living area as well as breathtaking views of the garden and sea. With round the clock guest services, you are sure to find all contemporary conveniences available at your services.